Hi guys, just Angelya here this week. 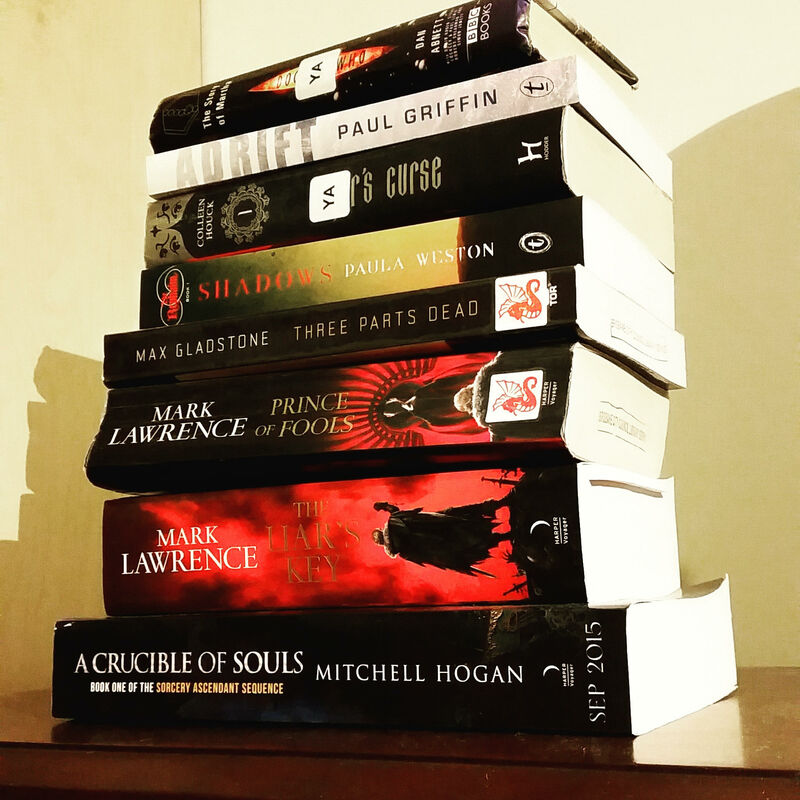 My to-read pile has been growing a lot over the last few weeks. Sadly this isn’t even all of them! I should ban myself from the library, honestly. For a year, while the Master ruled over the Earth, Martha Jones traveled the world telling people stories about the Doctor. She told people of how the Doctor has saved them before, and how he will save them again. I can’t seem to walk past DW books at the library without taking them home with me. It’s a curse. This YA title has the folks at Text Publishing excited. The last thing Kelsey Hayes thought she’d be doing this summer was trying to break a 300-year-old Indian curse. With a mysterious white tiger named Ren. Halfway around the world. But that’s exactly what happened. I’ve been meaning to get around to this series for ages, and finally found the first book in the library. And then Rafa comes to town. Okay so I actually already had a copy of this book, but the new covers are just so pretty I had to have one to complete my set. I got it at the launch of book four so Paula signed it for me! Look, I’ll admit I completely want to read this book because of the cover. Its gorgeous! The Red Queen’s grandson, Prince Jalan Kendeth—drinker, gambler, seducer of women—is one who can see The Silent Sister. Tenth in line for the throne and content with his role as a minor royal, he pretends that the hideous crone is not there. But war is coming. 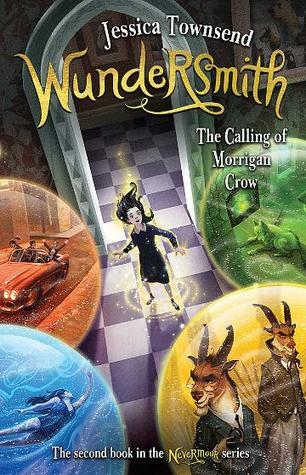 This series sounds epic – I’ve been meaning to get back into some high fantasy and this could be just the thing. More epic fantasy! This one by a debut Aussie author. I can’t wait! I’ve been looking forward to reading this book since the start of the year, and I hope it lives up to the hype I’ve been seeing around the place! Across the ineffable expanse of the Great Deep float billions of shattered universes: the Shards. Populated with vengeful demons and tormented humans, the Shards need Earth to survive just as plants need water. Earth itself is kept alive by 36 righteous people, 36 hidden saints known as the Lamed Vav. Kill but a few of the Lamed Vav and the Earth will shatter, and all the Shards that rely upon it will die in a horrible cataclysm. 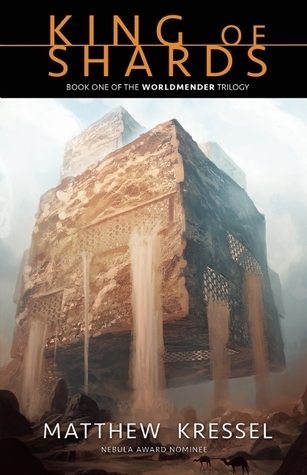 When Daniel Fisher is abducted on his wedding day by the demon king, Ashmedai, he learns he is a Lamed Vav, one of the hidden righteous upholding the world. This one has such world-building potential, I’m really looking forward to reading it based purely on the blurb. Publishing in October. Tiger’s Curse sounds very intriguing. 🙂 I hope that you enjoy these books. 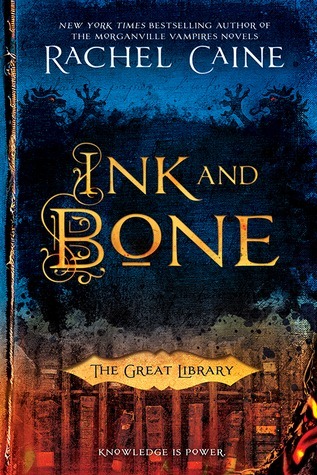 I recently bought Ink and Bone too! The UK cover is gorgeous! All the covers I’ve seen for it are gorgeous! Only problem with getting an ebook copy – no cover to gaze at! I haven’t read any of the Doctor Who books. Are they worth it? My family are all huge fans of the Doctor. Hi Melissa! Some of them are worth it… I have found them a bit hit and miss. It’s hard to capture the Doctor’s personalities on paper, you know? I have a few reviews up (http://www.teainthetreetops.com/tag/doctor-who/), and others I’ve read but only reviewed on GR.